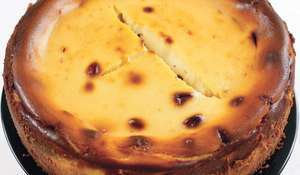 A indulgent praline cheesecake recipe from Joanne Harris. 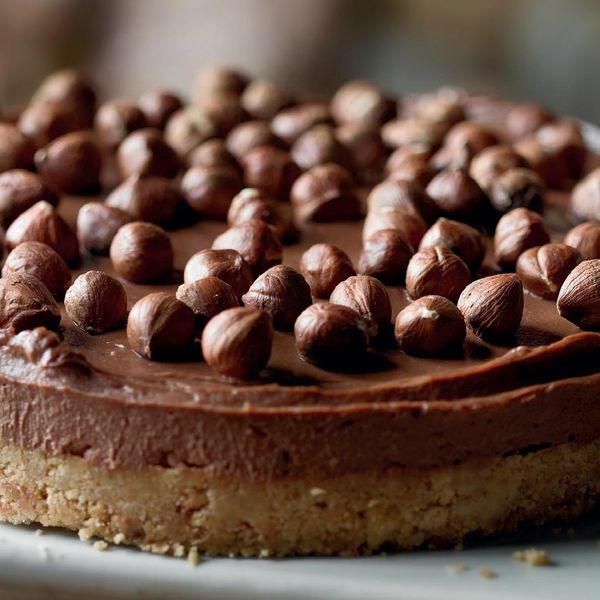 With a hazelnut biscuit base, the cheesecake is topped with silky, dark chocolate cream cheese. 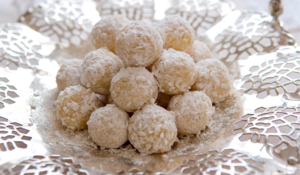 The term ‘praline’ has existed since the sixteenth century, and was originally a whole almond coated in hard sugar. Nowadays the term is a general one, referring to any confection made from sugar, nuts and chocolate. 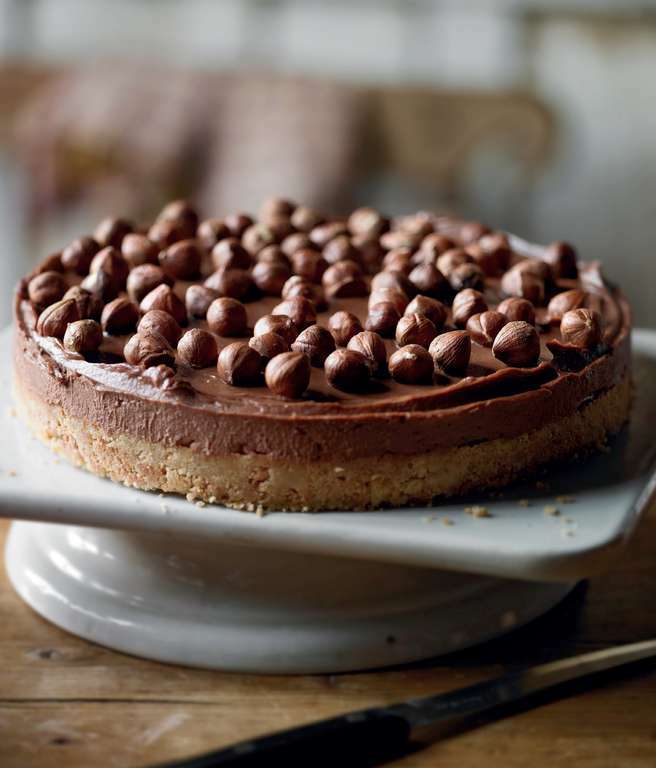 For this luscious cheesecake I’m using a favourite combination of hazelnuts, cream and dark chocolate. You will need a blender, and a 20cm loose-bottomed round tin. Place the digestive biscuits in a blender and whizz to a fine crumb. Mix in the ground hazelnuts. Melt the butter and mix it into the biscuit crumb and hazelnut mixture. 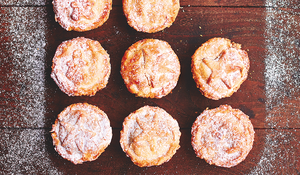 Tip into a 20cm loose-bottomed round tin, spread evenly and press down with the back of a spoon. 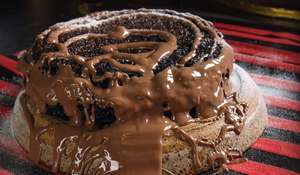 For the topping, melt the chocolate in a bain-marie. Add the cream and blend until smooth. 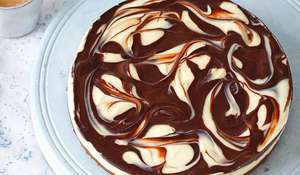 Whisk the cream cheese to soften, add the chocolate mixture and sugar, and blend. Pour into the prepared tin, smooth over the top and scatter with the hazelnuts. Place in the fridge to set for 3 hours, then carefully run a thin bladed knife around the edge to help release the cheesecake and remove from the tin. Some seventeenth-century clerics associated chocolate with heretical and impious behaviour, calling it ‘the damnable agent of necromancers and sorcerers’. 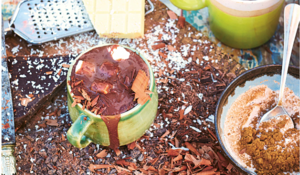 A mouth-watering collection of indulgent chocolate recipes to celebrate Joanne Harris’s bestselling Chocolat.